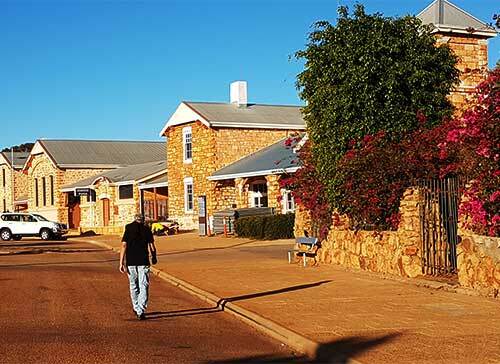 Cue, Western Australia gives you a full Desert Experience. Travel back in time and take in Indigenous Art and Culture, as well as the heydays of early white settlers and their Gold digging forays. Just a stones throw up the road is also the Largest Rock in the World (yes, bigger than Uluru), Mount Augustus. Checkout the video to see where you could be spending your next holiday roadtrip. This solid two storey brick and iron building was built c1930 as the Capitol Hotel. The grand style included extensive use of jarrah, especially in the wide staircase, huge public rooms and rest areas, and high ceilings with stylish ceiling decoration. 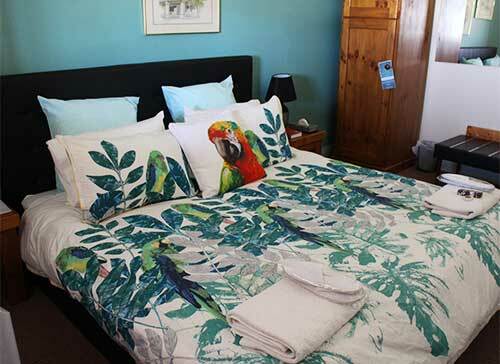 It had extensive renovations in 1995 and remained licensed premises but was later de-licensed and became a family-oriented bed and breakfast providing overnight, holiday and worker accommodation in Cue. Excellent home-cooked meals are also available provided with old-fashioned service in a relaxed family atmosphere with a BYO Licence. 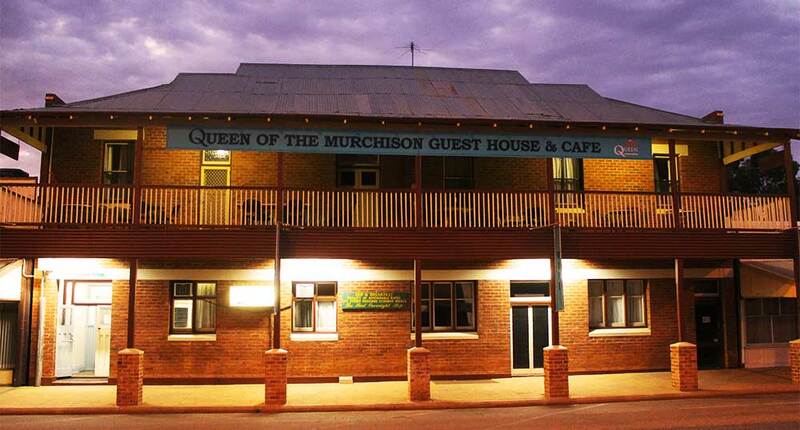 Remember when meal-times were a time for connection, banter and real conversation – you’ll find that at the Queen of the Murchison. Enjoy air-conditioning in summer or dine around the log fire in winter. Joyce and Darryl encourage guests to treat their home as your own whilst their guests. Family, Queen and single room accommodation, with some rooms recently renovated. Continental breakfast included in tariff. 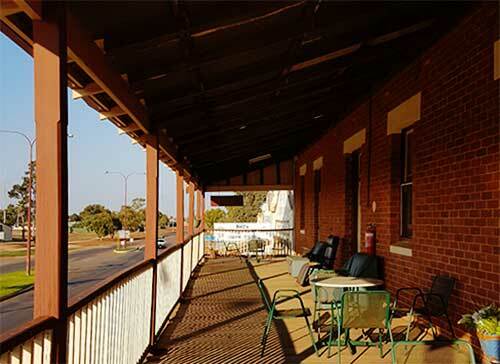 Enjoy an evening drink on the front veranda whilst watching the world go by in a true outback desert town in the centre of Cue. 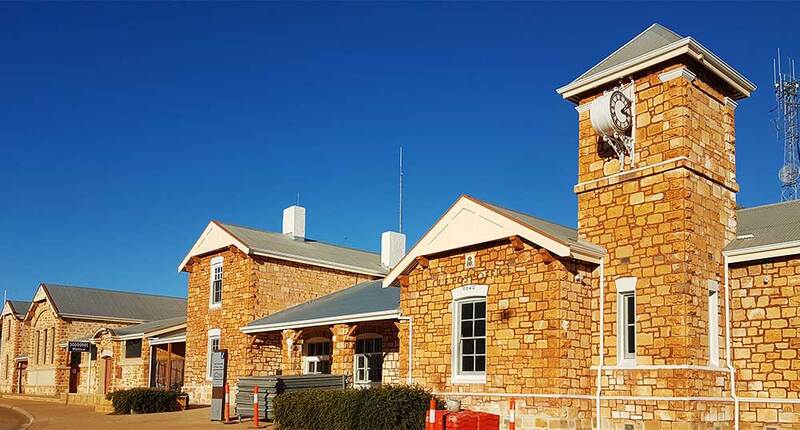 Visit the unique two-storey iron Masonic Lodge, the old gaol, old Post Office re-furbished as the Community Resource Centre.